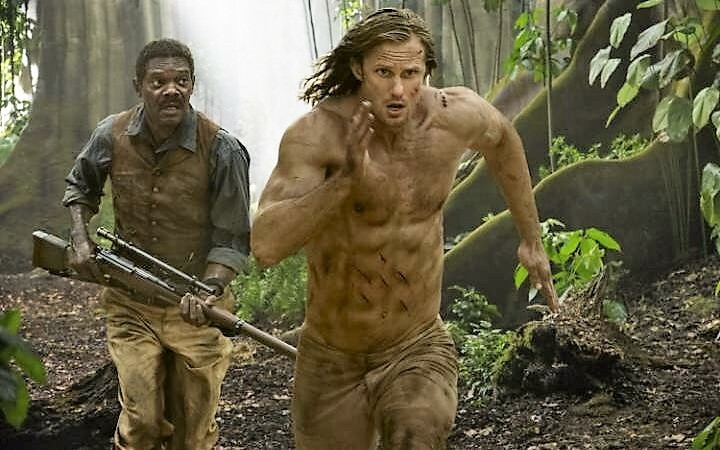 The Legend of Tarzan is filmed almost entirely just outside Watford. Video of Actors practice the scene involving Aerial stunts moves to be performed!! Tarzan’s Congo has been recreated and nothing is as it seems. The spectacular trees are made from poly-styrene foam. The fast-flowing river is created with an intricate soakaway system under the floor. The monsoon rain used to dramatic effect in the film is a spray from a rig in the roof. And Pisano is arranging leaves from an English woodland on the ‘tropical’ forest floor. The film’s chief attraction – aside from Christopher Lambert – was the fact that the apes are played by actors in animal suits.